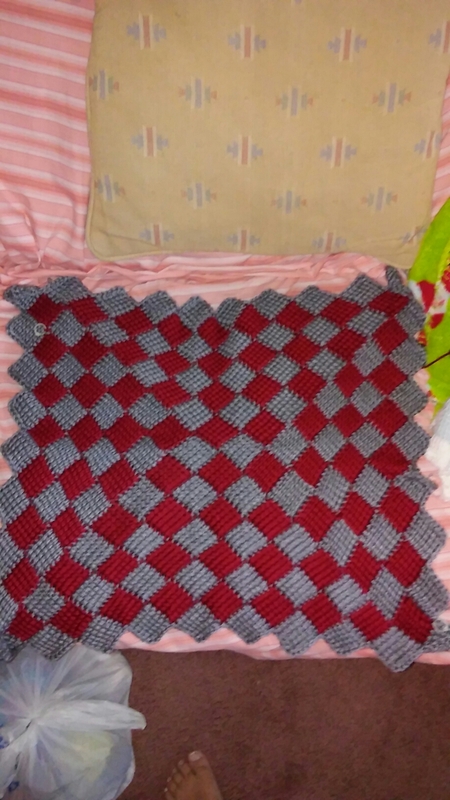 Mandala from Lion Brand in Unicorn…so I decided to do another Entralac Tunisian blanket…I will keep you posted on the progress. Great news!! 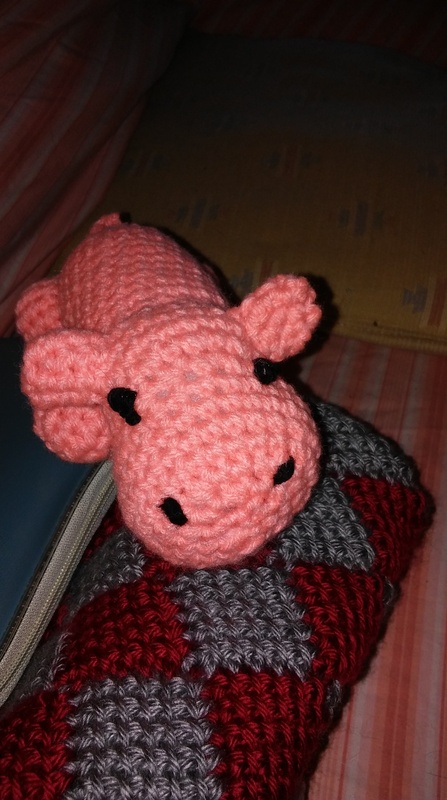 Happy Hippo has a new happy face. 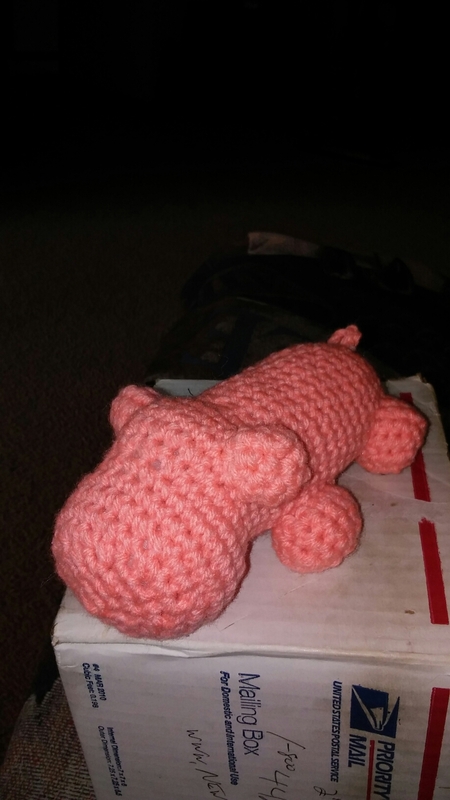 Happy Hippo found in Vanna’s Choice easy crochet critters book. I got into trouble today when I went to Joann Fabrics. 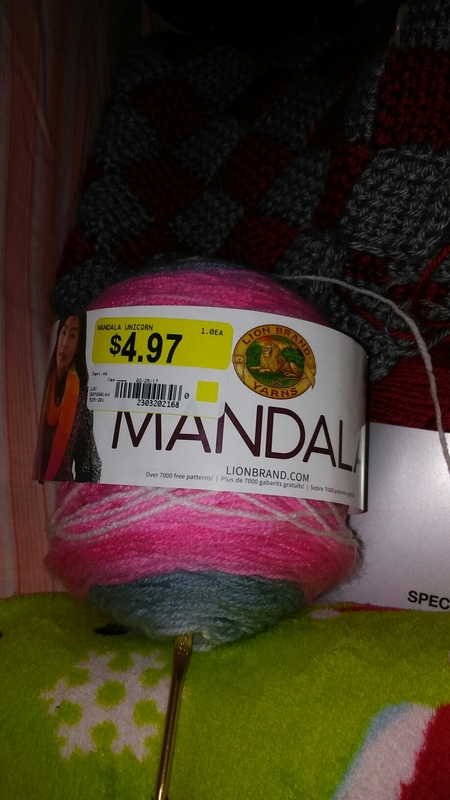 I went just to “look” at the yarn…walked out paying $50. 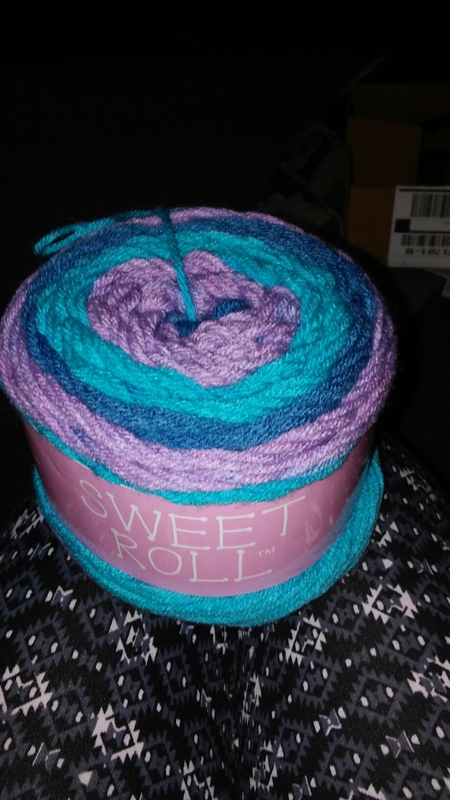 Found sweet roll in punch pop and fell in love with the color pattern. My mind is going nuts trying to decide what to make with it. Any ideas?? Has anyone used this type before? 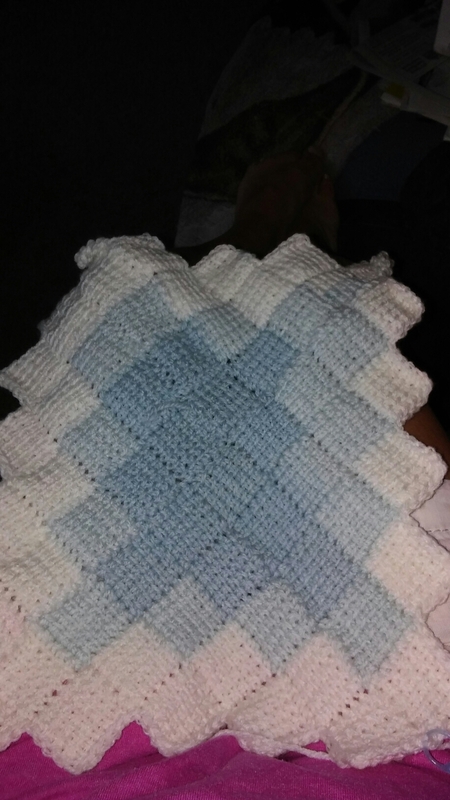 I’m wondering how the pattern will turn out. I would like to see your project if you wouldn’t mind. Thanks in advance. I have seen a lot of very interesting supplies that you all have. I would love to get a hold of one of those very cute yarn bowls…now where can I get one? ?